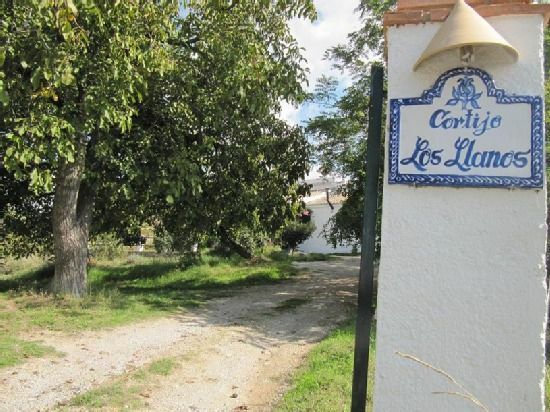 Traditional farmhouse located on the outskirts of the town of Monachil, within the Natural Park of Sierra Nevada, just 7 km from Granada capital and 22 from the ski resort, which can be accessed by road inside the town, in addition to the general. - El Granero House: for 4 people, it has two double bedrooms, bathroom, living room with fireplace, and kitchen. All houses have central heating sofa bed and also each has a large porch with barbecue. The cortijo is in the countryside in a very quiet area, 500 meters from the outskirts of town, and very close to amenities such as bars and restaurants 1Km, supermarkets 1.5Km. From the farmhouse you can enjoy wonderful views, both of the mountain, as a total panoramic of the city of Granada and the surrounding villages. Because of its proximity to Granada, 7 Km. Allow us to visit this beautiful city and all its monuments of interest. In the village is the natural place of the Cahorros, with its suspension bridge 65 meters long. The houses are located in the countryside, so you can do a lot of activities such as hiking, horseback riding, paragliding, climbing in the natural area of ​​Los Cahorros, mountain biking, etc. The pool is shared for all three houses, and runs from June 1 to September 15. Hemos pasado una semana con dos niños pequeños y nos lo hemos pasado genial. La casa es comoda, todo está muy limpio y bien aprovechado. La zona de la piscina es una pasada para estar con los niños. La temperatura es ideal, aún estando en Agosto. La proximidad a la capital contrasta con la calma que reina en la zona. Los dueños (Genoveva y Miguel) muy buenos anfitriones, superamables, están siempre dispuestos para lo que necesites dejándote toda la intimidad del mundo. "Gracias por estos días, repetiremos seguro"
La location est impeccable , la piscine régulièrement entretenue et très agréable. Nous la recommandons ! Un logement simple mais très agréable avec une terrasse bénéficiant d'une vue remarquable sur Grenade. Endroit très bien situé pour visiter la ville et la sierra nevada. Genoveva est une hôtesse charmante et très serviable. Hemos estado unos días disfrutando en la casa y todo perfecto. La ubicación es muy tranquila y preciosa. Los niños puedan incluso explorar la zona por su cuenta. Tiene relativamente cerca servicios útiles como supermercados con horarios muy amplios. En resumen, todo muy bien, y el trato con los propietarios también excelente. ¡Muchas gracias! Granada capital is 10 minutes from the house, so you can visit the entire historic city, with its monuments and museums. The ski station is in the same municipality. In the village 15 minutes from the house, there is the natural place "Los Cahorros", with its hanging wooden bridges and its waterfalls.